API Key for pyup.io's vulnerability database. Can be set as SAFETY_API_KEY environment variable. Output vulnerabilities in JSON format. Full reports include a security advisory (if available). 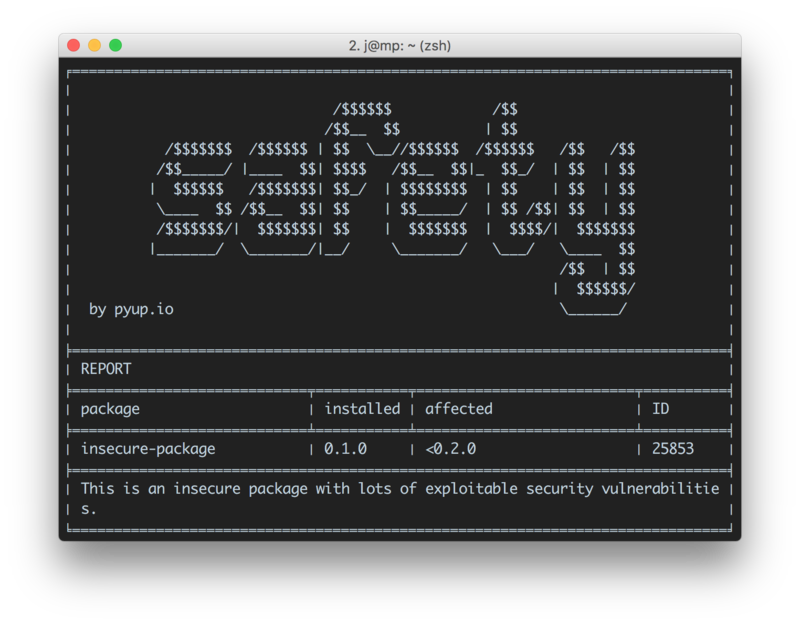 Output vulnerable packages only. Useful in combination with other tools. Cache requests to the vulnerability database locally for 2 hours. Read input from one (or multiple) requirement files.